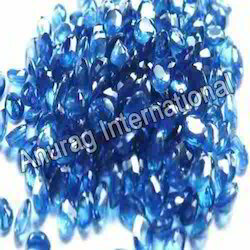 Prominent & Leading Exporter from Jaipur, we offer oval blue sapphire, oval shaped blue sapphire, neelam blue sapphire, blue sapphire stone, blue sapphire and natural loose blue sapphire gemstone. 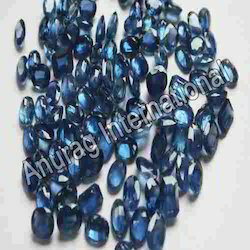 We are one of the renowned manufacturers and suppliers of a designer range of oval blue sapphire. Elegantly designed these gems are widely acknowledged for remarkable shine and attractive design. Following the demands of clients, we offer these gems in various weights, sizes, shapes and designs. These are processed under firm direction of quality controllers, who check these on well defined parameters to meet international standards. Keeping in mind the precise demands of clients, we manufacture and supply a qualitative range of oval and octagon blue sapphire. Attractively designed these gems are processed using best available technologies to ensure finest cutting and lustrous shine. 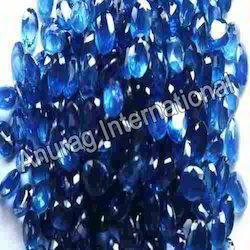 We offer oval and octagon blue sapphires in different shapes, sizes and specifications as per the demands of clients. Our gems are reasonably priced. Backed ourselves with sound amenities and talented personnel, we have emerged as one of the leading organizations, actively engaged in offering Neelam Blue Sapphire. Our blue sapphire is suitable for imparting eye-catchy look to different kinds of jewelry while designing. 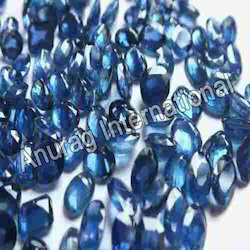 Offered blue sapphire is checked by experts in order to deliver defect free range from our end. Moreover, this blue sapphire is available from us in various sizes & customized options as per the individual preferences of clients. Owing to a modernized infrastructure for trouble-free processing & post-production, we are instrumental in offering Blue Sapphire Stone. The offered sapphire stone has a charming and beautiful pattern thus, it is widely demanded by jewelers for imparting modern look to the jewelries. 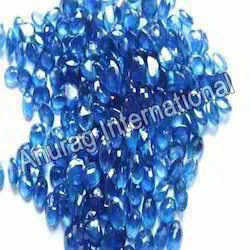 Our sapphire stone is provided in customization options as per specific requirements of our clients. 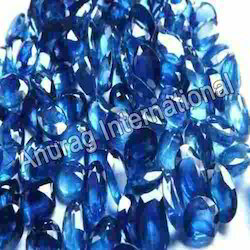 This sapphire stone is checked by experts in order to guarantees its quality. 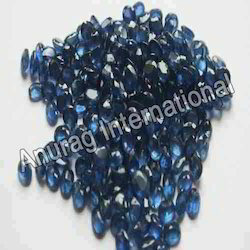 We are one of the renowned manufacturers and suppliers of a designer range of Natural Loose blue sapphire Gemstone. Elegantly designed these gems are widely acknowledged for remarkable shine and attractive design. Following the demands of clients, we offer these gems in various weights, sizes, shapes and designs. These are processed under firm direction of quality controllers, who check these on well defined parameters to meet international standards. We specialize in exporting and supplying Dark Green Natural Emerald Gemstone.The Emerald Gemstone that we offer has received accolades from our clients for its rich green color, radiance and unmatched quality. We make available Emerald Gemstone in different sizes, cuts and finishes to suit the requirements of the customers. 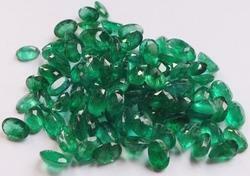 One can procure Emerald Gemstone from us at reasonable prices. our company has been able to serve our valued clients with a comprehensive range of Dark Green Pear Shaped Emerald Gemstones Cabs. These stones are available in the shape of pear. Our clients can avail this item in different cutting, shine and shapes that suits best with the demands and requirements of our valued clients. We have reasonably priced our range without compromising in terms of quality. Our firm has set a benchmark in the field of offering a huge gamut of Natural Blue Sapphire that is presented in eye-catching shades and they are renowned for its smooth finishes, strength and durability. Our offered blue sapphires are designed utilizing the advanced technology under the guidance of our skilled personnel. These blue sapphires are checked on well-defined parameters of quality, in order to offer only quality enriched items at the customer’s end. Being a quality conscious firm, our organization is engaged in offering a wide range of Oval Shape Natural Gemstones.Our gemstones are designed by creative designers keep in mind the current fashion trends by making use of excellent quality material & best techniques. Also, we provide these gemstones in different designs and sizes to meet the varied needs of clients. 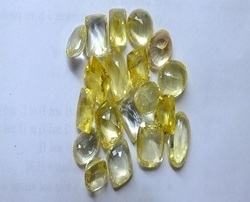 We are one of the renowned manufacturers and suppliers of a designer range of Oval Shape Yellow Sapphire Gemstones. Elegantly designed these gems are widely acknowledged for remarkable shine and attractive design. Following the demands of clients, we offer these gems in various weights, sizes, shapes and designs. These are processed under firm direction of quality controllers, who check these on well defined parameters to meet international standards. 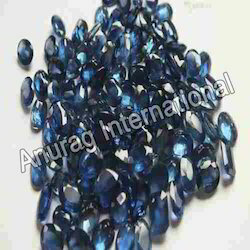 We are one of the renowned manufacturers and suppliers of a designer range of blue sapphire Round Beads Gemstones.Elegantly designed these gems are widely acknowledged for remarkable shine and attractive design. Following the demands of clients, we offer these gems in various weights, sizes, shapes and designs. These are processed under firm direction of quality controllers, who check these on well defined parameters to meet international standards. 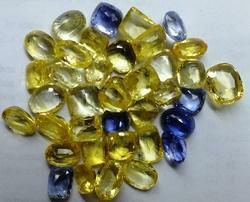 We are one of the renowned manufacturers and suppliers of a designer range of Yellow and Blue Sapphire Gemstones. Elegantly designed these gems are widely acknowledged for remarkable shine and attractive design. Following the demands of clients, we offer these gems in various weights, sizes, shapes and designs. These are processed under firm direction of quality controllers, who check these on well defined parameters to meet international standards.